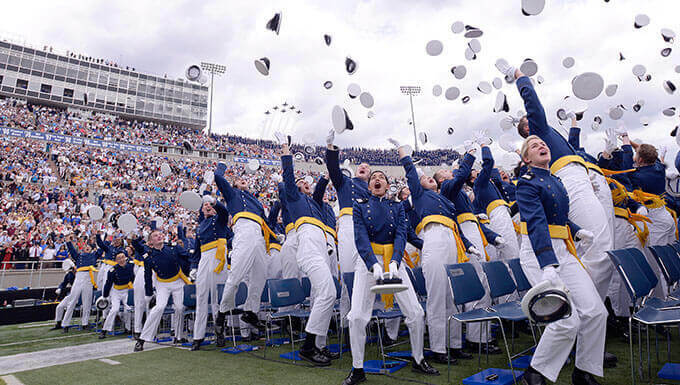 U.S. AIR FORCE ACADEMY, Colo. — For the first time in Air Force Academy history, enlisted Airmen will be deliberately hired for faculty teaching positions. The Air Force Personnel Center began announcing Jan. 23 the need for senior NCOs to fill enlisted academic instructor positions at the school. While enlisted Airmen have been instructing cadets for decades at the Academy, they have not been directly assigned to the Academy as accredited academic faculty instructors. Just after earning her master’s in May 2017, Boyer encouraged Chambers to team-up with the CCLD and Behavioral Sciences and Leadership while “the details for creating the new Air Force specialty were being “plugged in,” Chambers said.